Let them Eat Cake, 2001, oil on canvas, 60 x 48 inches. Courtesy of the artist. 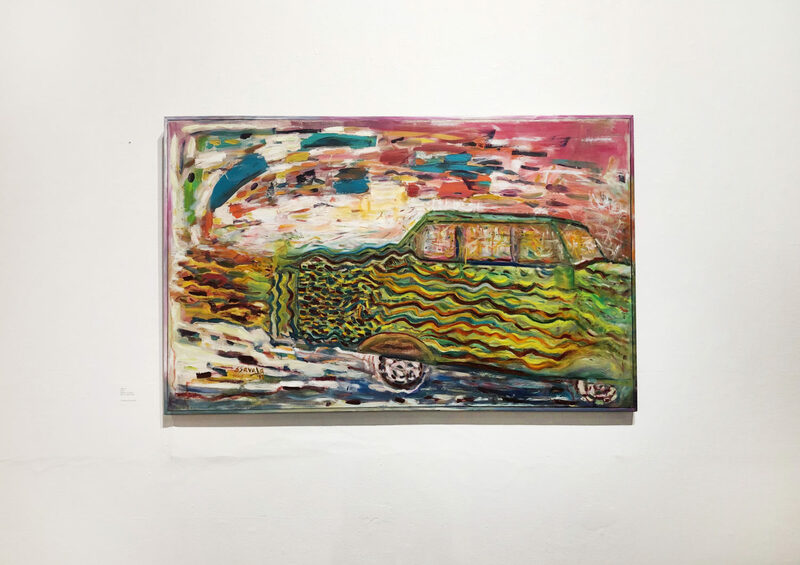 Fast Car, 2015, acrylic on canvas, 30 1/2 x 48 inches. Courtesy of the artist. 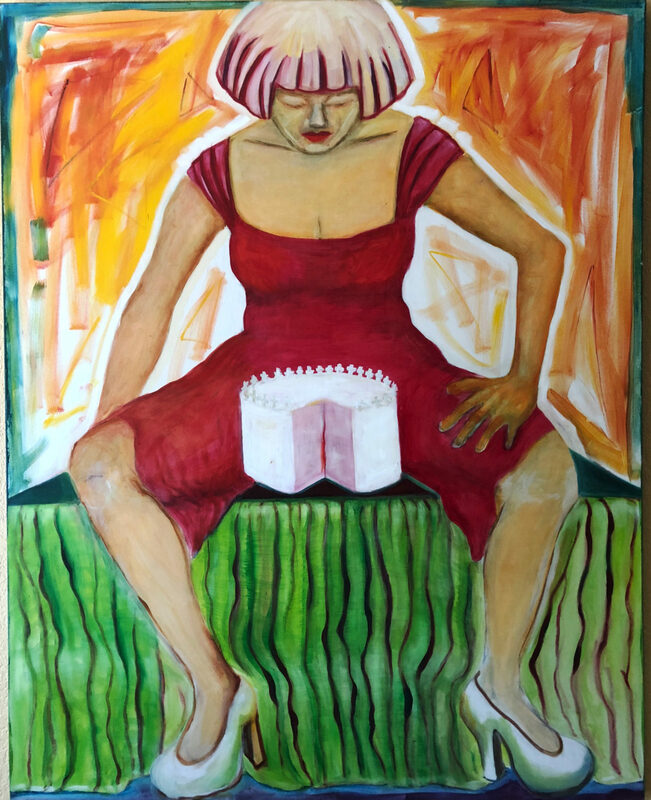 Sylvia Savala’s paintings are fluid and gestural with a strong, Chicanx feminist perspective. Figures and objects sit in swirling, fields of color, symbols, and form. Her works often chronicle dreams, personal narratives, and the ebb and flow of relationships. They express the power of female desire and sensuality, often placing her body, and by extension, her identity as a Mexican-American woman, unapologetically front and center. 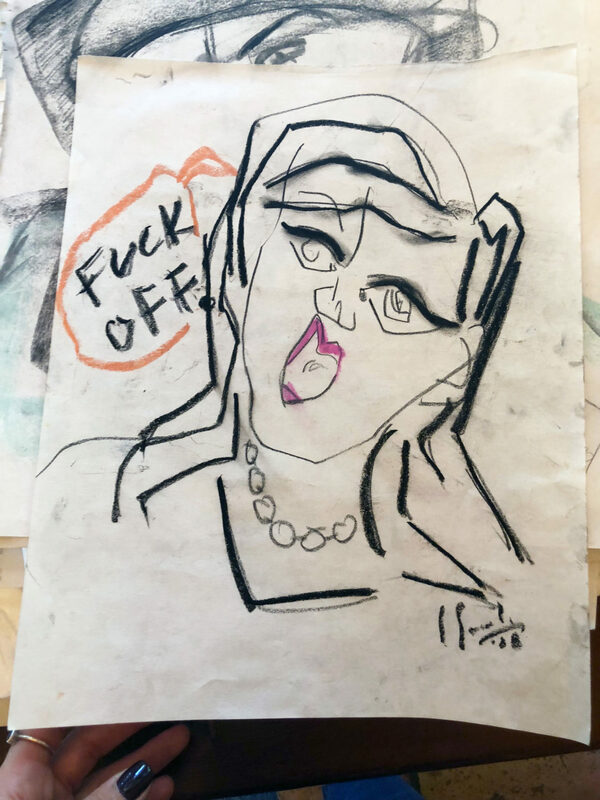 A sense of emancipation, fun, and self-love characterize Sylvia Savala’s paintings, with the artist’s irrepressible sense of humor evident in works such as Let them Eat Cake (2001)—a lewd play on the mythical words of Marie Antoinette at the time of the French Revolution—and Fast Car (2015) in which furious but measured brushstrokes capture a car as it speeds away from the frame. Lately, Savala’s paintings have become increasingly abstract, with towering, geometric, compositions of cakes and other objects filling the frame. Savala has spent most of her life in the Fresno area. 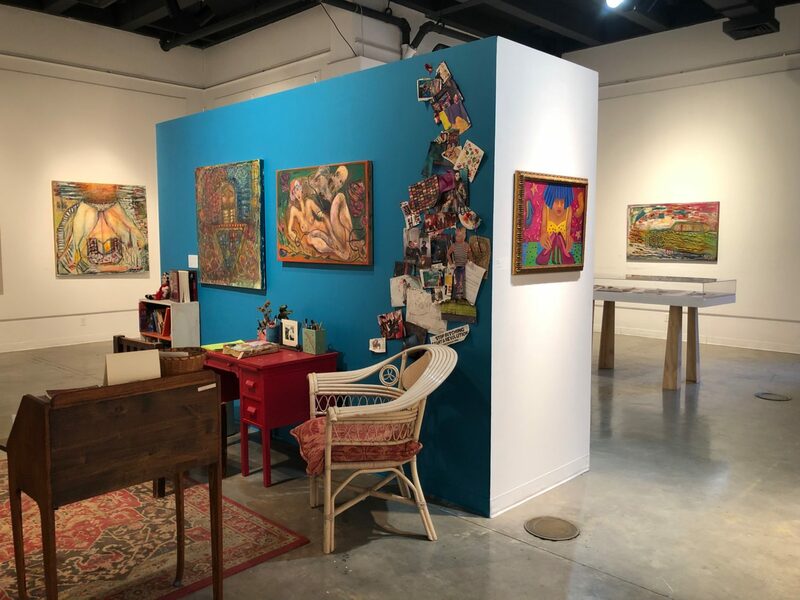 Her home, like the homes of many artists, is an important part of her creative life and practice: it is filled with furniture, art, and color collected over time. Acknowledging this, we recreate a small part of her home studio within the Art Space Gallery.